This flaky, full-coverage glitter has a tricky formula. It requires a bit of dabbing and smooshing to get an even coverage. This one is more of a duochrome, shifting between green and pink. It’s opaque in 3 coats and is lovely once you get it on! 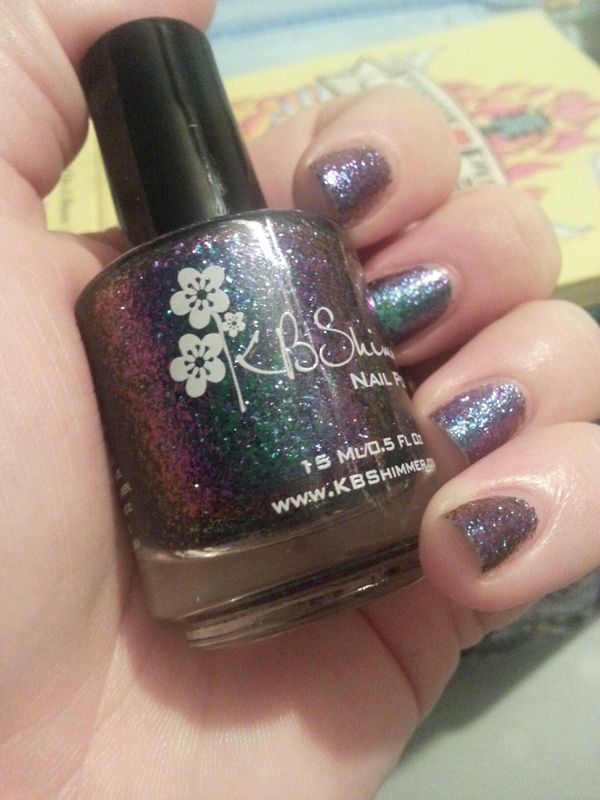 This entry was posted in KB Shimmer and tagged duochrome, flakie, glitter, green, indie nail polish, indie polish, kb shimmer, nail polish, swatch, swatches on October 13, 2015 by Mel.